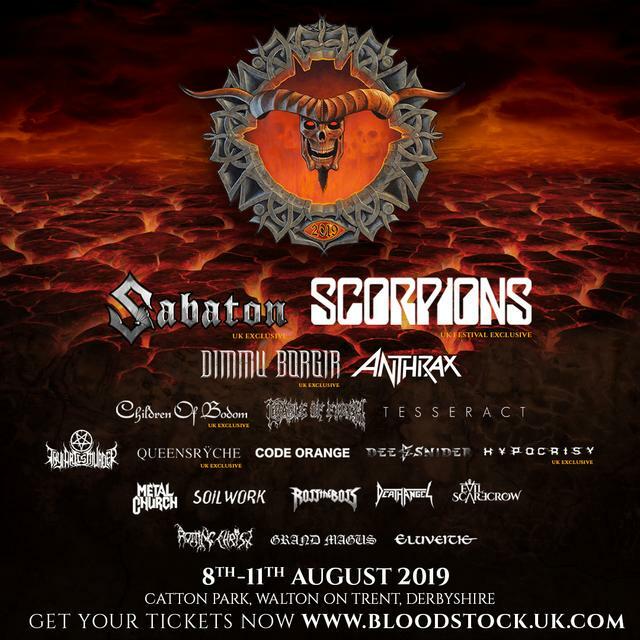 Standard weekend tickets are only available at ‘early bird’ prices (just £132 for four days of metal fun) until 15th December, so pick up yours today at the ticket store to save a few quid while you can - http://bloodstock.seetickets.com. BLOODSTOCK’s first wave of 2019 Serpents Lair VIP tickets and campervan passes are both now SOLD OUT! A second wave of VIP, including Deluxe packages (Luxpads, Bellepads, Podpads, etc) and a limited amount of VIP upgrades (for those who’ve already purchased standard weekend tickets) will become available on Monday 17th December at 9am. For full details click to http://www.bloodstock.uk.com/pages/vip-camping.